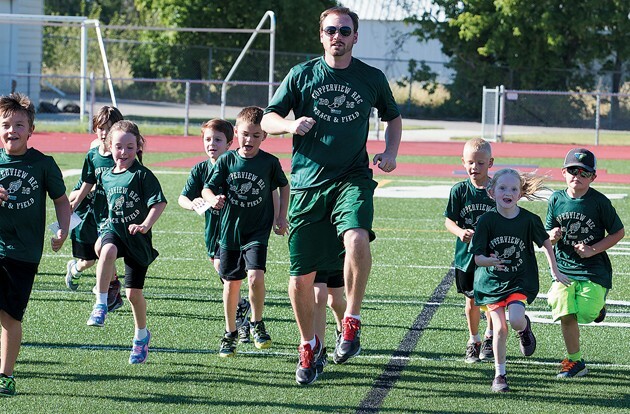 Tavin Stucki leads a group of children he coaches twice a week for track and field. I’ve decided to take my talents into coaching — track and field, to be specific. But to be clear, I won’t be leaving my sports editor job at the Tooele Transcript Bulletin. I’ve gone to more track meets than anyone I know, except for long-tenured coaches who make it their life. If I hadn’t brought my wife along on assignment to cover the state high school track and field championship meet at Brigham Young University about a month ago, I probably would have been there anyway since it’s a family tradition in the Stucki clan. That’s where I heard about this new coaching opportunity. I was hanging out at the Hillcrest tent, shooting the bull with all my old high school coaches and my dad, whose first name I’m not sure anyone actually knows, even among his colleagues, since they all refer to him as Stucki. Copper Hills head coach Garth Rushforth walked past, so my dad and I went to go talk shop with him. I’ve known Coach Rush since he was my coach in the Salt Lake County rec track program when I was about 7 years old, but I hadn’t seen him for a long time. I introduced my wife. My dad immediately had a proud-father moment. It turned out the same program I was part of as a really little kid had expanded into the same area my parents eventually moved to in Midvale. I reminded my dad that I don’t live around the corner from Copperview or Hillcrest anymore, and he told me with a grin that he’d already asked about four or five other people. They all had said no. At first, I was nervous about the whole thing. I know how to do nearly every event in track and field — on a basic level anyway — but I haven’t coached since the year after I graduated, which was really just me not having anything else to do before I left on a mission. So my dad made me baby-sit the pole vaulters that spring. 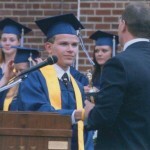 But then I realized I didn’t need that much in-depth knowledge to coach little kids anyway, so I agreed to do it. The interview process a couple days later went quickly: I called in the morning, interviewed with the program coordinator by the afternoon and started that evening. I think she was just happy to have an applicant who could start right then, and I also suspect she thought my familiarity with the sport was a bonus. While it would be a lot easier to coach a little-kid team near my apartment in Tooele, it’s been a lot of fun to work with my Copperview athletes. The 6 year olds (“Oh look, a bug!”) and the 13 year olds (“Coach, let me race you!”) have a hard time listening, but I don’t think that’s really a surprise. I knew it would be a lot of fun, yet I didn’t realize I would enjoy watching my athletes win races so much. But not enough to quit my day job. Stucki is a life-long track and field enthusiast who, when he tried to walk on as a pole vaulter at Utah State University, was politely told he wasn’t good enough. He’s since found his true calling in sports journalism. Send any tips on how to start a youth track program in Tooele County to tstucki@tooeletranscript.com. Tavin Stucki is sports editor for the Tooele Transcript Bulletin. 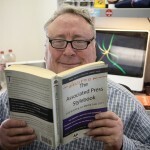 Stucki graduated with a journalism degree from Utah State University in 2014, where he worked at The Utah Statesman as staff writer, sports editor, news editor and editor-in-chief, respectively, for four years. Stucki served a mission for the Church of Jesus Christ of Latter-day Saints in Scotland from 2008-10.